Castle is a defining figure in the American studio furniture movement. After studying sculpture and industrial design at the University of Kansas, Castle taught at the Rochester Institute of Technology and at the State University of New York in Brockport. 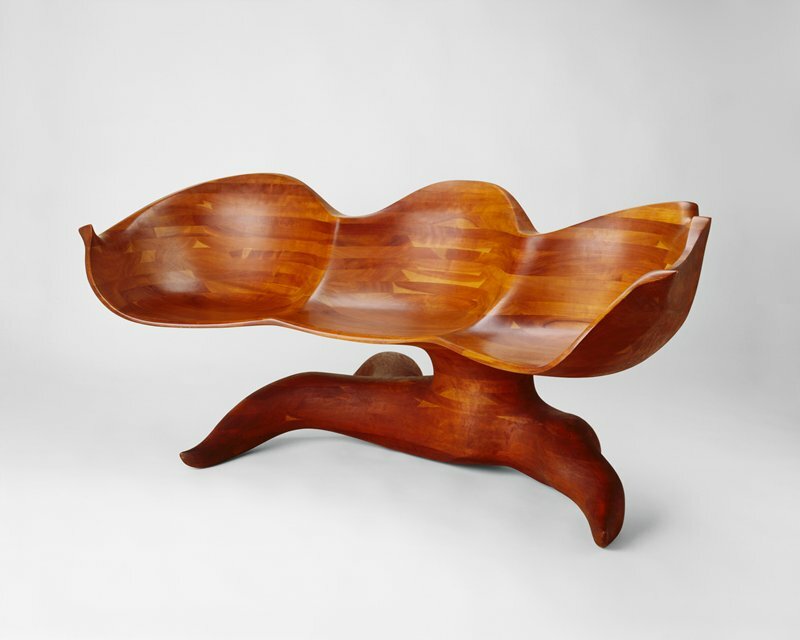 In the late 1950s, he developed his Organic Series, whose title refers to both the wood of his furniture and biomorphic form. In this series Castle abandoned traditional furniture methods. Instead, he glued layers of wood into a large block, then shaped the stack with hand and power tools, a subtractive technique more akin to sculpture than to furniture production. Castle made this piece, a rare three-seat settee, using this stack-lamination method. The resulting settee is strong enough to be both functional and sculptural, with a carved base resembling a tree's root system. Castle's later furniture series are equally iconoclastic, including his trompe l'oeil pieces, sculptures of everyday objects made entirely of wood.